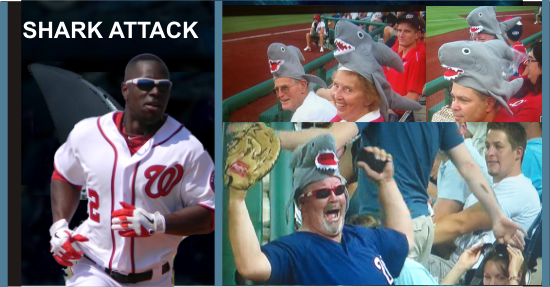 #1: Will FP Santangelo Wear His Shark Hat? Nationals look to rebound after a humiliating loss last night. Edwin Jackson looks to move his record above .500 tonight. With Cole Hamels on the mound tomorrow, tonight's game is crucial for avoiding a sweep possibility. Still no Zimmerman, though he says he will play tomorrow for sure. 5-6 with a 3.88 ERA. Has given up 41 hits over his last ~27 innings of work. Give up double digit hits 3 times this season, including a game against the Nats. 6-6 with a 3.52 ERA. Pitched 7 innings of shutout baseball his last time out. Has not given up double digit hits at all this season. Apparently he is a Nats killer? Batting ..375 lifetime against Jackson. Went 3-5 last night with 2 runs scored. Also had 2 stolen bases last night. Batting .222 against Worley with 1 homerun and 2 RBIs lifetime. Went 0-4 last night with 2 strikeouts. Also stranded 3 men on base. Get Runners In. Nats had 12 men left of base last night. Middle of the lineup was particularly bad in this area. Stop Runners. The Nats also allowed 3 stolen bases. Got to stop giving away bases to guys like Pierre. Work the Count. 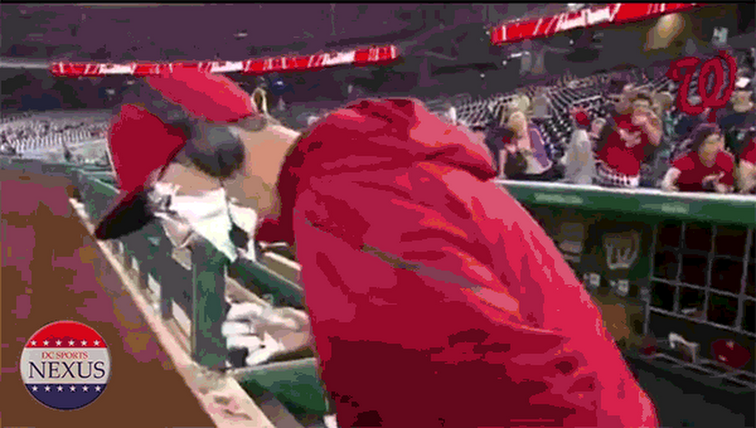 The Nats only drew 1 walk the entire game last night.